Morel mushrooms are one of the most common edible mushrooms that grow wildly in the United States. According to MDC.mo.gov, morels can grow between two inches and one foot tall. 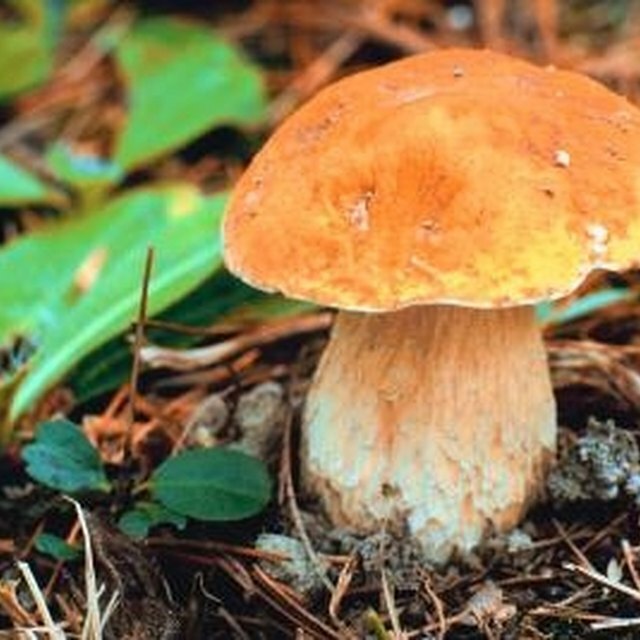 The mushrooms are tall and thin—unlike other species of mushrooms, which are flattened like pancakes—and have a honeycombed cap. However, other mushroom species resemble edible morel mushrooms, so it's critical for you to distinguish between "good" morels and "bad" or "false" morels. Look at the cap or top of the mushroom. Edible morels (good morels) have plenty of deep pits that resemble a bee’s honeycomb or a giant prune. The cap also tends to be longer than the stem. Bad morels have wavy ridges and do not have as many pits, and their caps tend to be shorter than the stem. Examine where the cap meets the stem of the mushroom. The caps of edible morel mushrooms are attached to the stem. 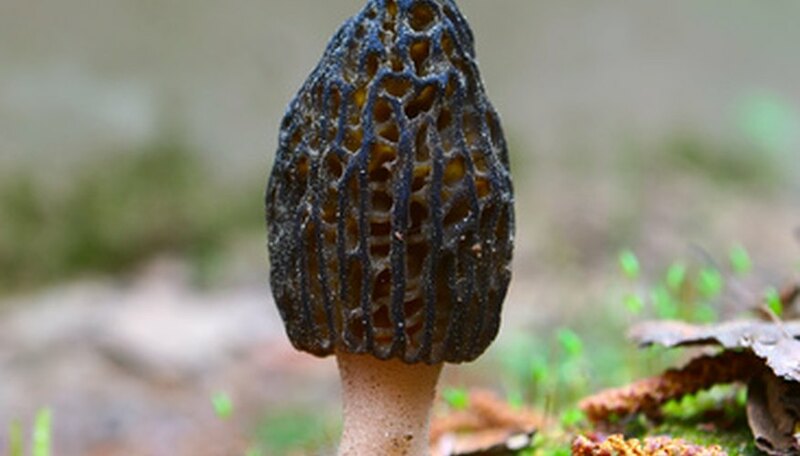 On bad or false morels, the bottom of the cap is partially attached or not attached at all. Cut the mushroom in half from the tip of the cap to the bottom of the stem. Edible morels are hollow through the entire inside-length of the mushroom. False or bad morels have fiber inside the stem or are not hollow inside. Look for insects inside the mushroom. Even if the mushroom is edible, remove morels that have insects growing inside. Use a frying pan on medium heat to saute the morel mushrooms in butter for five minutes on each side. After identifying good morel mushrooms, cook the mushrooms thoroughly to ensure that they are healthy enough to eat. Always check mushrooms you find in the wild against information contained in a mushroom field guide. Lawrence, George. "How to Tell Good & Bad Morel Mushrooms." Sciencing, https://sciencing.com/tell-good-bad-morel-mushrooms-6344569.html. 24 April 2017.